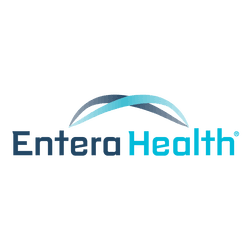 STUDY SHOWS BENEFITS OF ENTERAGAM® (SERUM-DERIVED BOVINE IMMUNOGLOBULIN/PROTEIN ISOLATE, SBI) FOR PATIENTS WITH HIV-ASSOCIATED ENTEROPATHY - Entera Health, Inc.
Entera Health, Inc. today announced results from a multi-center study evaluating the impact of SBI in patients with HIV-associated enteropathy. An improvement was observed in circulating levels of CD4+ T-cells following 4 weeks of SBI therapy in patients who started the trial with the lowest numbers of CD4+ cells (≤418 cells/microliter) compared to a placebo group (p=0.02). This effect was maintained through 24 weeks of SBI therapy. Evidence for restoration of mucosal immunity (increase in duodenal CD4+ T-cells, p=0.02) was also observed in a subset of patients who received SBI therapy for 24 weeks and underwent upper endoscopy and duodenal biopsy. “Collectively, these results suggest that SBI therapy may be a novel strategy to restore mucosal immunity and impact systemic reconstitution among patients who have not achieved normal CD4+ T-cell counts despite prolonged HAART”, said Dr. David Asmuth, Professor of Medicine at the University of California at Davis who presented the findings at the 8th International AIDS Conference on HIV Pathogenesis, Treatment and Prevention in Vancouver, Canada. The study enrolled HIV-infected patients who were on long-term highly active antiretroviral therapy (HAART) with documented HIV-associated enteropathy. Study subjects received SBI at a dose of 2.5 vs 5.0 grams or placebo twice daily during a 4-week, placebo-controlled phase that was followed by a placebo-free extension phase where subjects took SBI at 2.5 vs 5.0 grams for an additional 20 weeks. Study parameters included GI symptoms, biomarkers of peripheral and mucosal immunity, gut microbiome and evaluation of intestinal function. EnteraGam® is a prescription medical food product intended to provide for distinctive nutritional requirements that are unique for the clinical dietary management of specific intestinal disorders [e.g., in irritable bowel syndrome with diarrhea (IBS-D), inflammatory bowel disease (IBD), and HIV associated enteropathy]. EnteraGam® is required to be used under physician supervision as part of ongoing medical care for a specific condition or disease. EnteraGam® is also indicated for the clinical dietary management of enteropathy in patients who, because of therapeutic or chronic medical needs, have limited or impaired capacity to ingest, digest, absorb, or metabolize ordinary foodstuffs or certain nutrients. For full prescribing information, please visit our product website. EnteraGam® is a specially formulated protein source for the management of intestinal disorders. The product has been extremely well tolerated for up to a year in HIV patients and up to 8 months in infants. The major side effects in clinical trials (2-5%) have included mild nausea, constipation, stomach cramps, headache, and increased urination. EnteraGam® is contraindicated for patients with a hypersensitivity (allergy) to beef, or any components in EnteraGam®. Therefore, patients who have an allergy to beef or any component of EnteraGam® should not take this product. EnteraGam® has not been studied in pregnant and nursing mothers. The choice to administer EnteraGam® in pregnant or nursing mothers is at the clinical discretion of the physician. Medical foods like EnteraGam® are required by FDA regulations to be dosed and monitored by physicians as part of ongoing care for patients with chronic conditions or diseases.